Get ready for one of the biggest sensations of the last decade – the incredible singer/songwriter HOZIER! After a long departure, he’s returned with an all-new tour and promises of all-new material. 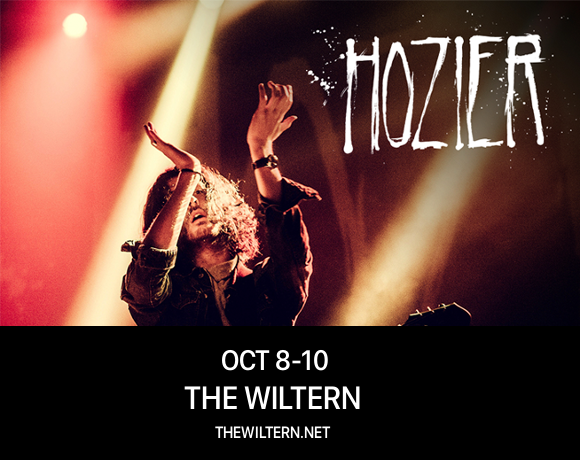 Hozier plays his final night at The Wiltern on Wednesday October 10th, 2018 – don’t miss out!! Tickets will FLY for this show so be speedy on that “Buy Tickets” button! In 2014, Hozier’s self-titled debut shook the world with unforgettable singles including “Take Me To Church. With a music video depicting homophobic violence and an unforgettable darkly dramatic melody, the single went viral, capturing the hearts and minds of millions. Hozier to this day has remained a prominent figure for social justice, supporting minority groups and charitable causes through his music. Whatever you do, don’t miss your chance to see this phenomenal artist live – get your tickets today!